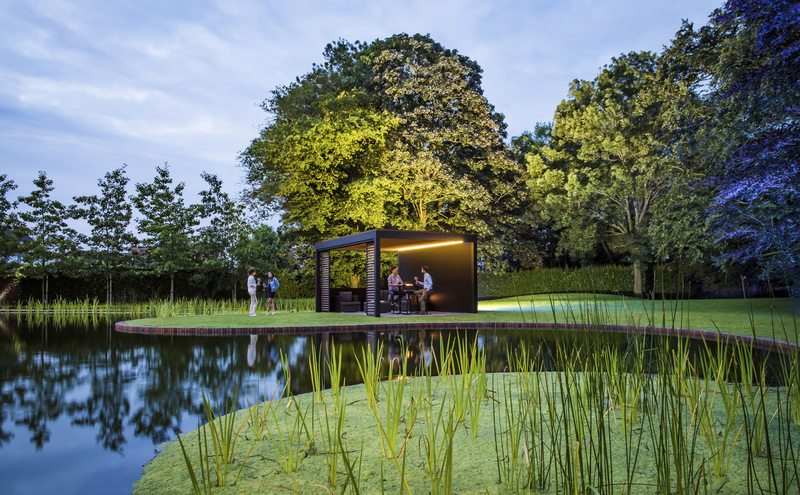 The markilux markant ideally complements high-end outdoor areas. 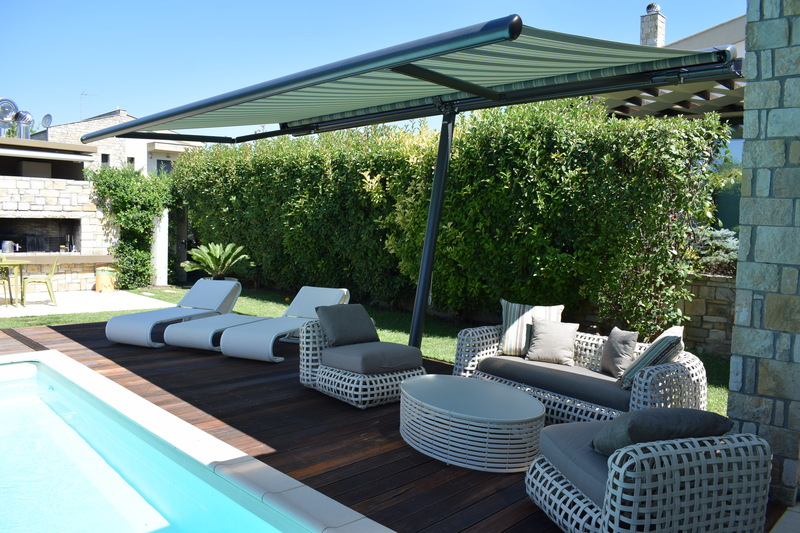 It lets you spend as much time as possible outdoors without compromising weather protection, comfort and a relaxing atmosphere. 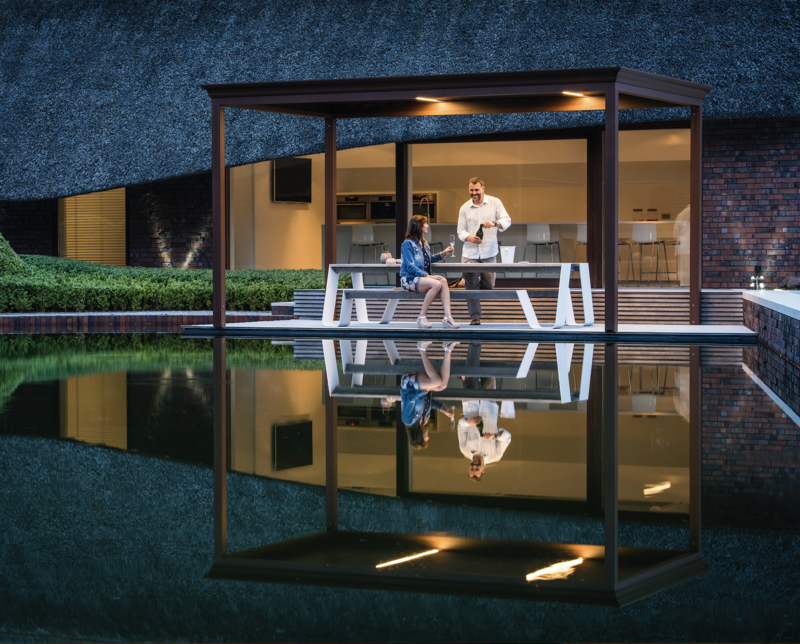 An enjoyable lifestyle living experience on the patio and in the garden – whatever the weather – in almost any season. 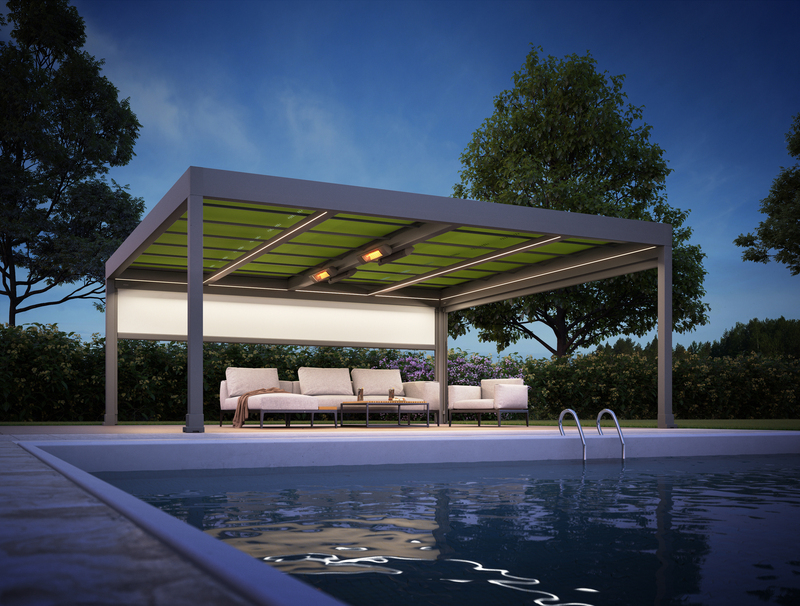 The markilux pergola ranks top when it comes to solar and wet weather protection. 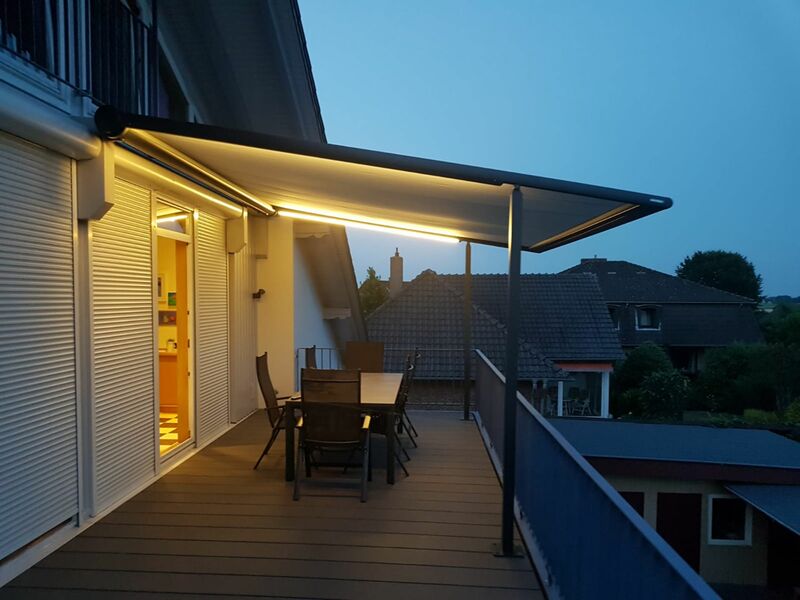 The awning system on slender posts and lateral guide tracks provides generous shading with an extension of up to 6 metres. 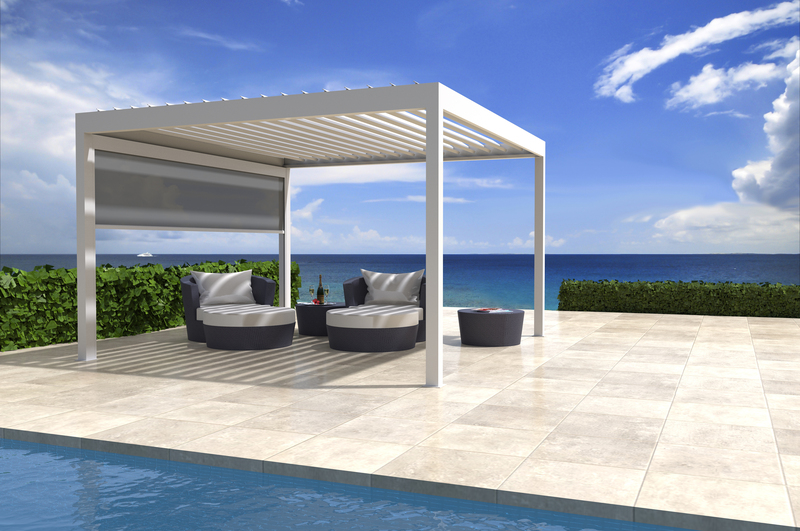 The pergola defies wind and weather up to Beaufort 6. 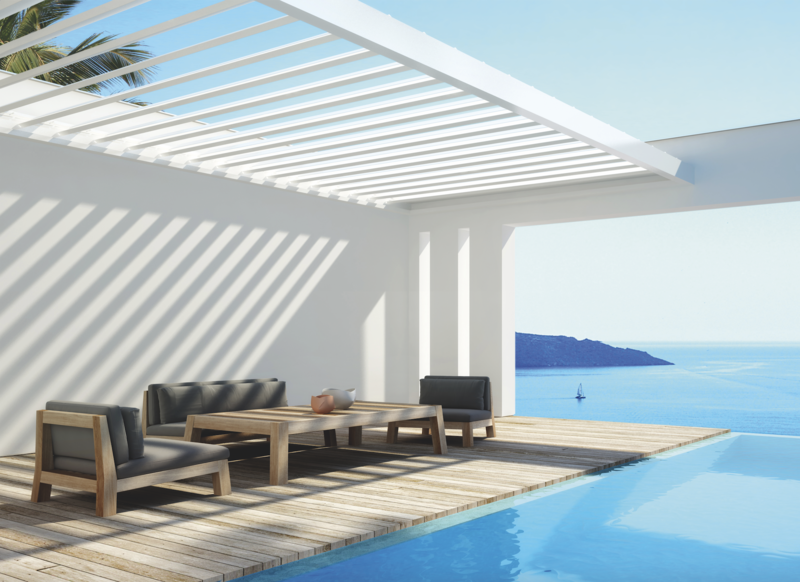 No matter how strong the sun shines or the wind blows, with your pergola, you can enjoy life outdoors at any time. 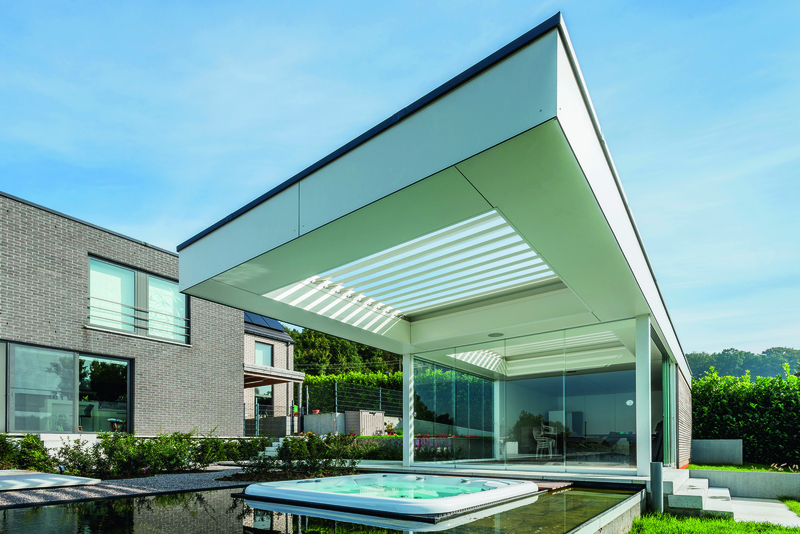 The markilux planet is a parasol and awning in one. 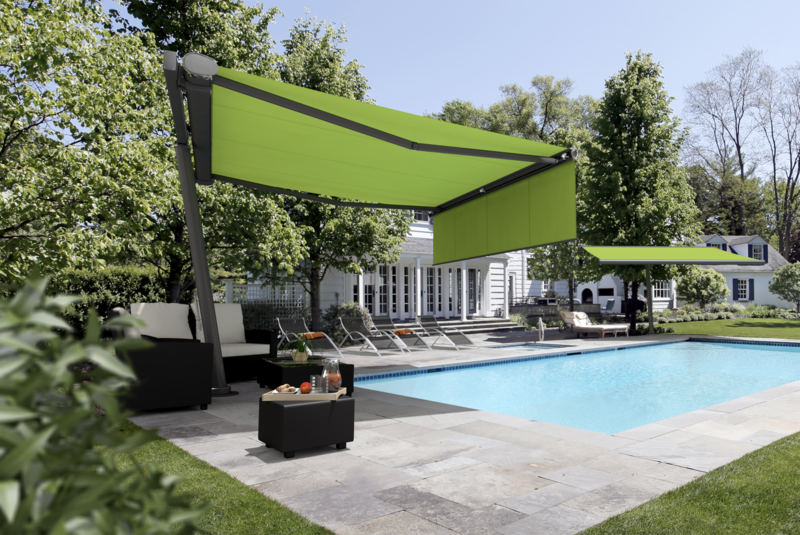 It’s an eye-catcher that provides perfect shading for your room outdoors. 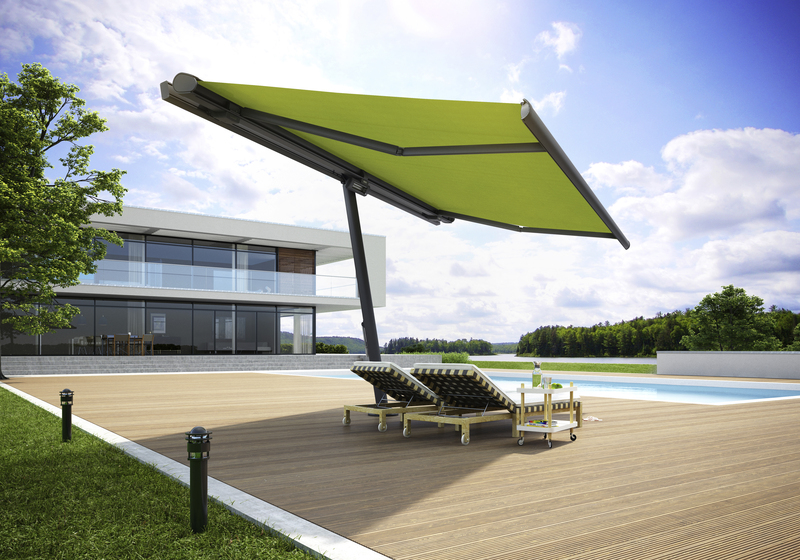 This awning-parasol protects you from solar radiation with exceptional reliability; it’s extremely sturdy, yet mobile. 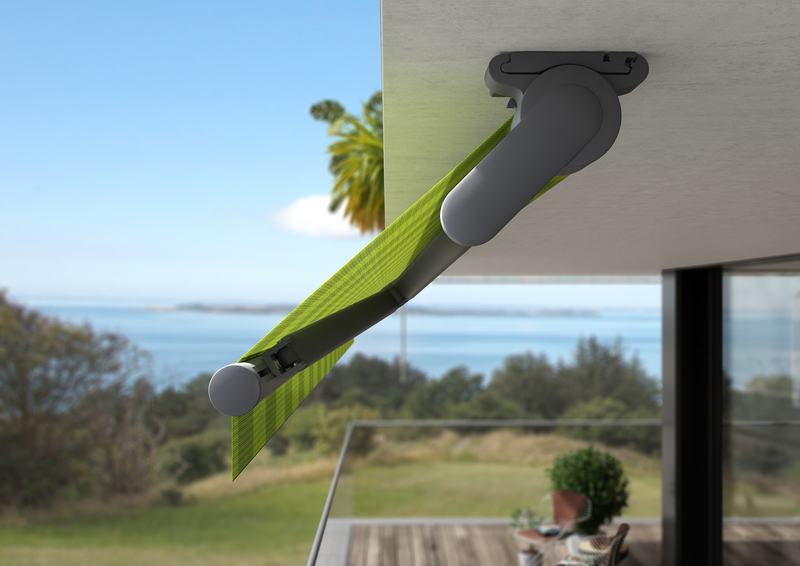 With the easy to use lever in the flex variant, you can simply rotate it by up to 335°, so you can have shade wherever it is required. 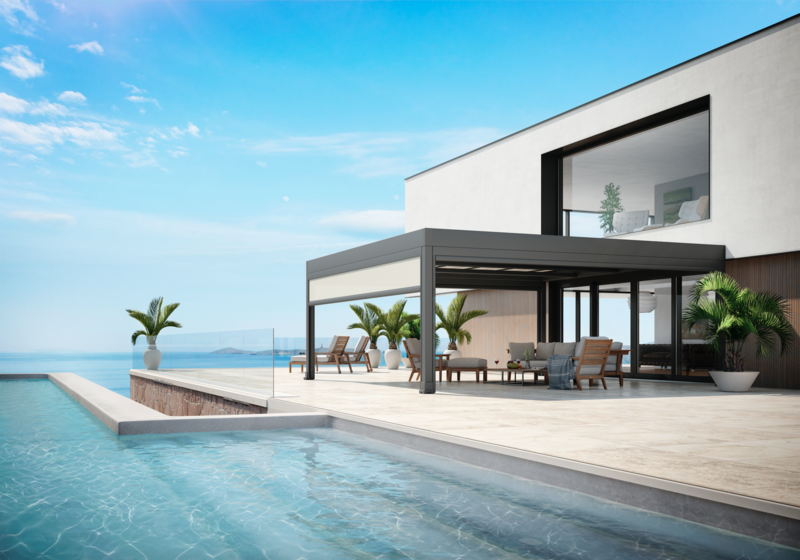 The markilux syncra promises generous shading right where you need it. 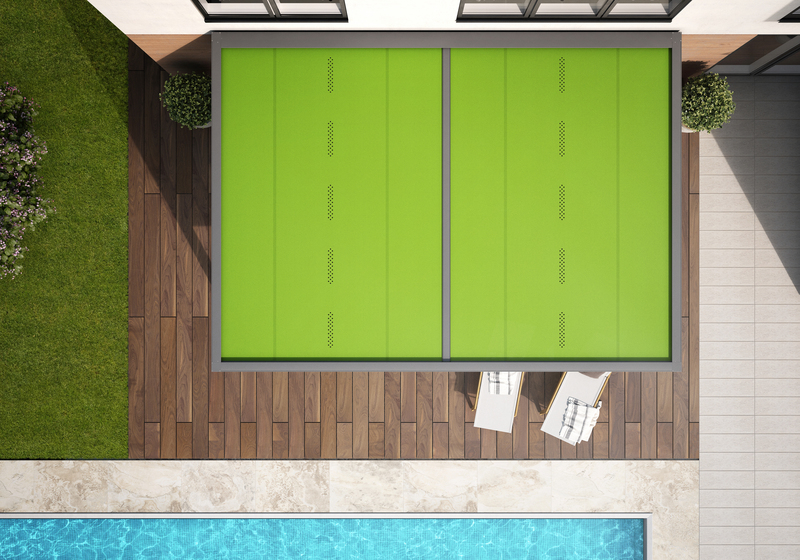 As a single unit up to 60 m2; as a coupled unit even larger areas are no problem. 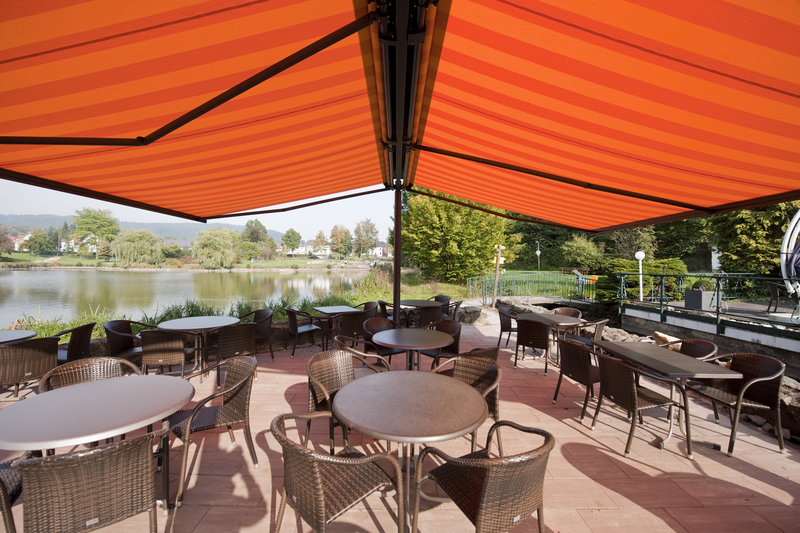 This free-standing awning literally stands on its own two feet, two round or square posts and a massive cross beam ensure reliable stability. 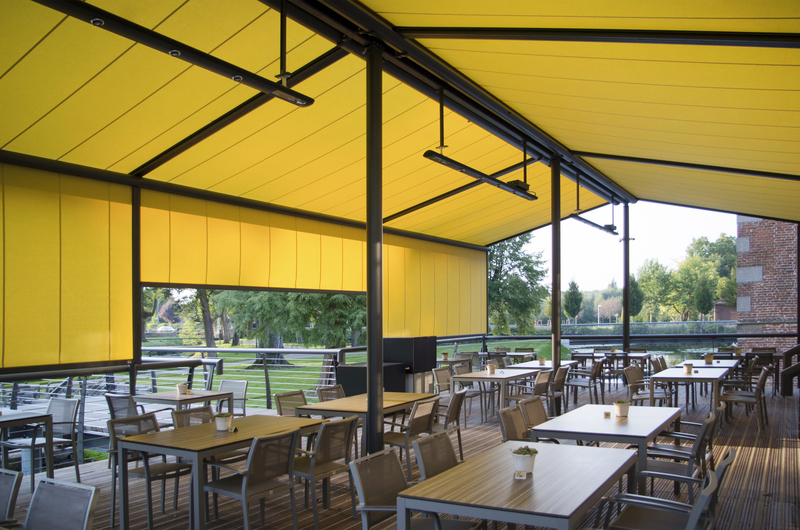 Innovative and modular patio canopy with horizontal solar shading roof with rotating louvre blades Horizontal solar shading roof with rotating louvre blades, which can be integrated into existing structures. 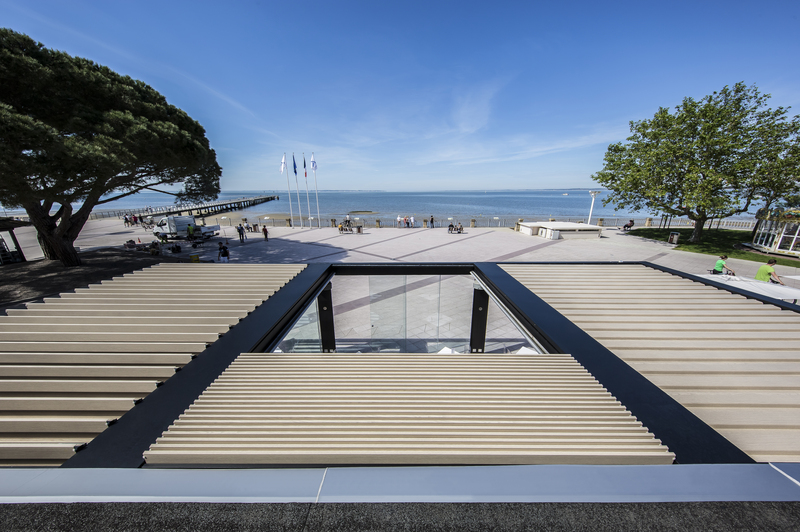 This simple roof structure provides a solar shading roof with rotating louvre blades, without columns. 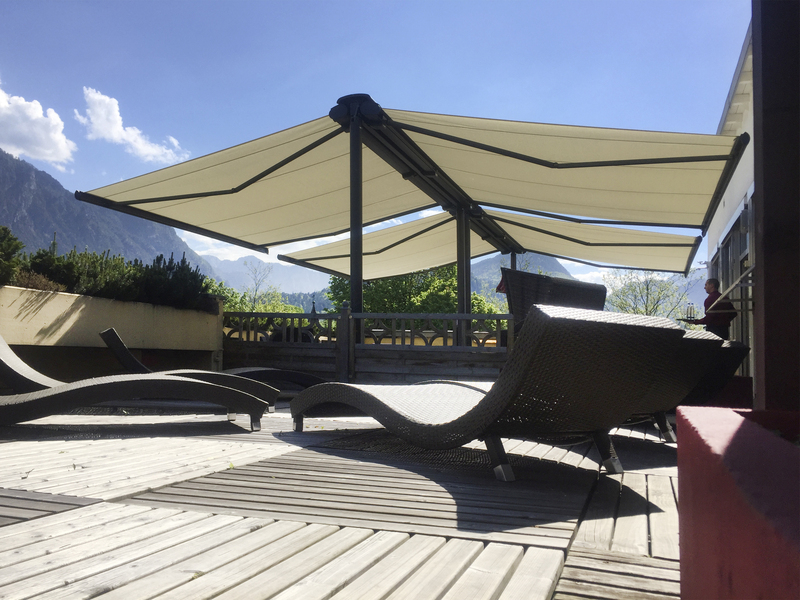 This simple and practical patio canopy provides a solar shading roof with rotating louvre blades. 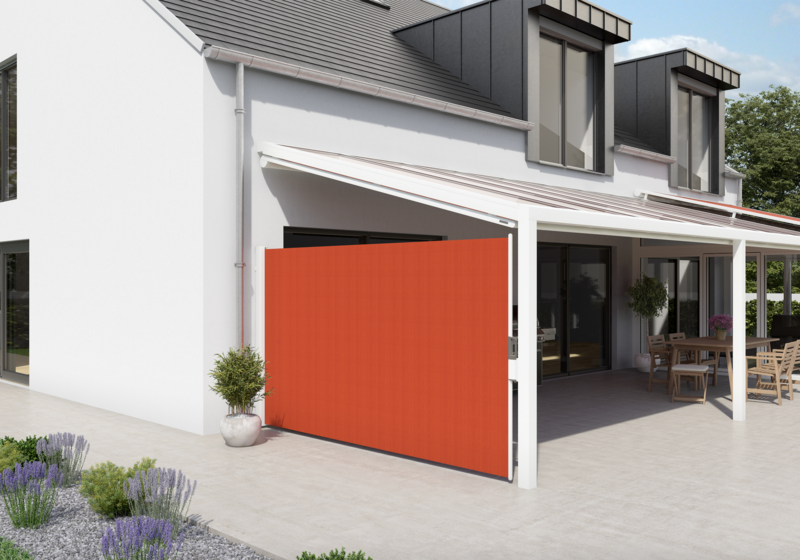 These extruded aluminium louvre blades rotate up to 150°, thereby enabling you to set solar shading and/or ventilation yourself at will. The louvre blades form a water-resistant roof when closed. 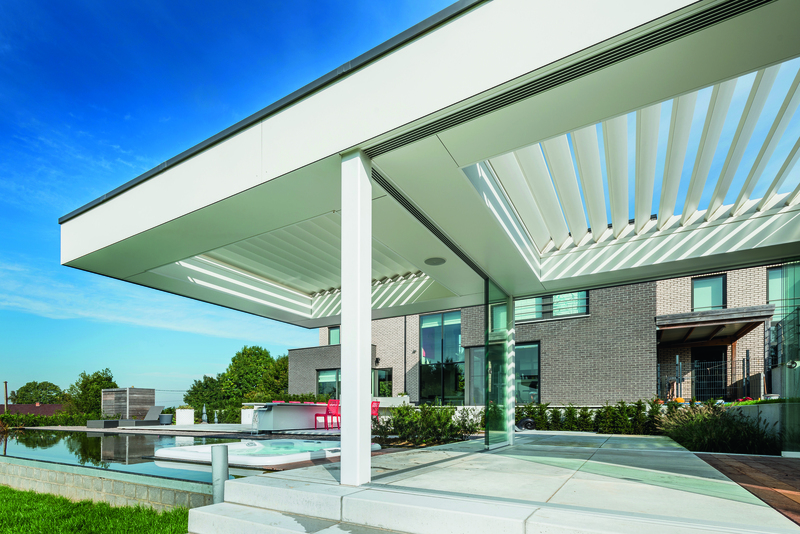 These stylish patio canopies with a flat solar shading and water-resistant roof turns your patio into a pleasant year-round outdoor area. You can set the ideal natural lighting and ventilation in an instant using the simple control with its silent operation. 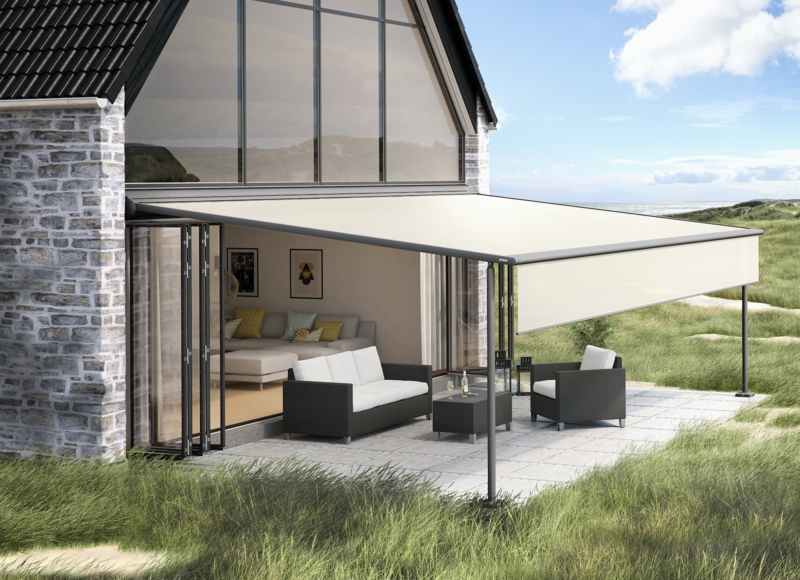 In addition to freestanding and lean-to versions, the Skye canopy with tilting and retractable louvre blades is now also available as an integrated roof element. 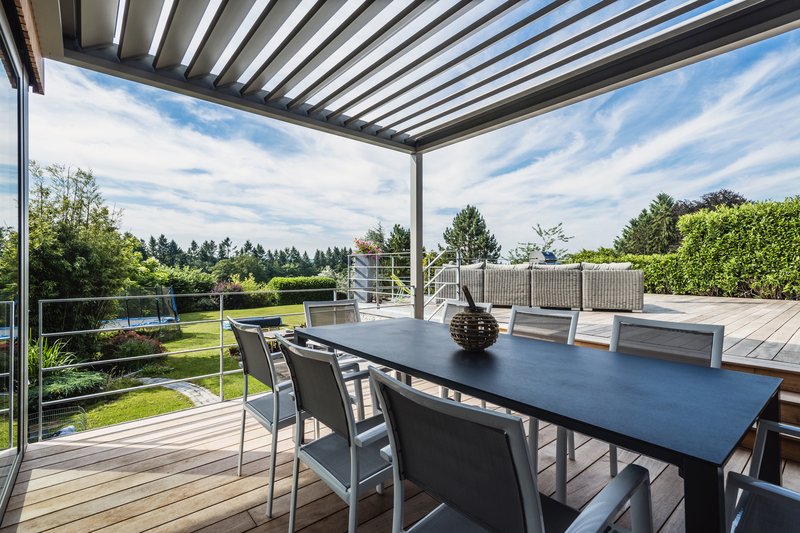 Simply ignore the columns and you are left with a sleek roof structure which can be built into or onto any construction: from steel sections to a timber framework and including concrete beams. 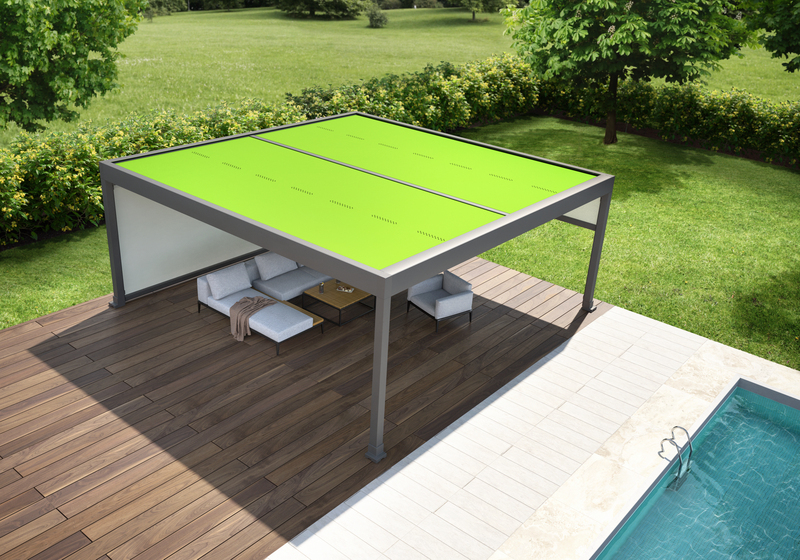 The roof consists of roof blades that can be rotated to control sun protection and ventilation. 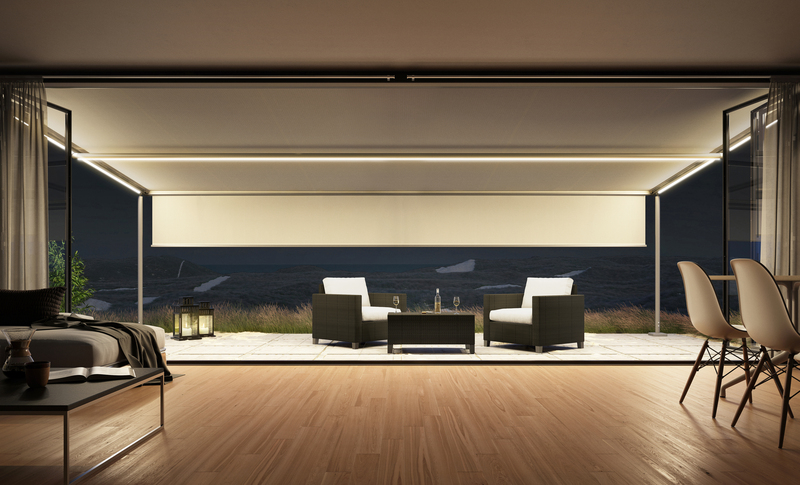 It can also slide open to provide the maximum amount of sunlight and an uninterrupted view. 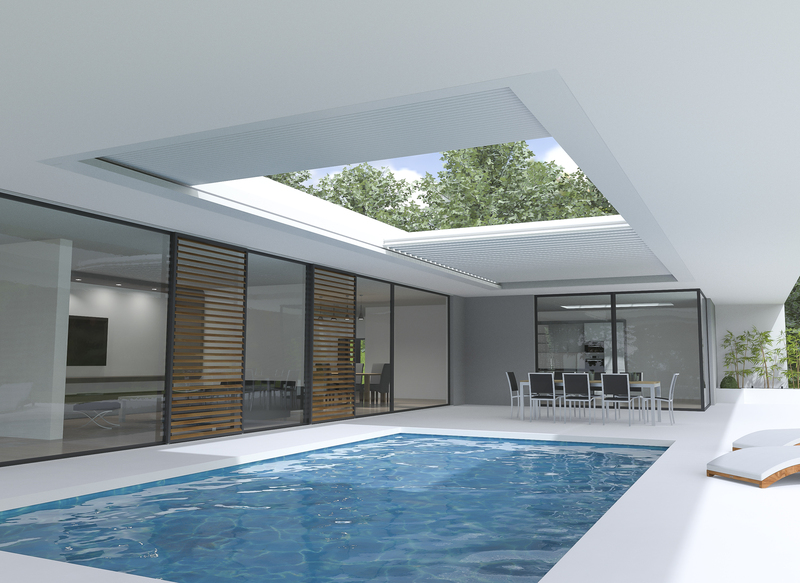 When closed, the roof is perfectly flat and there is minimum play between the blades.